Pete Disher presents the best 1968 Shelby webpage !!! 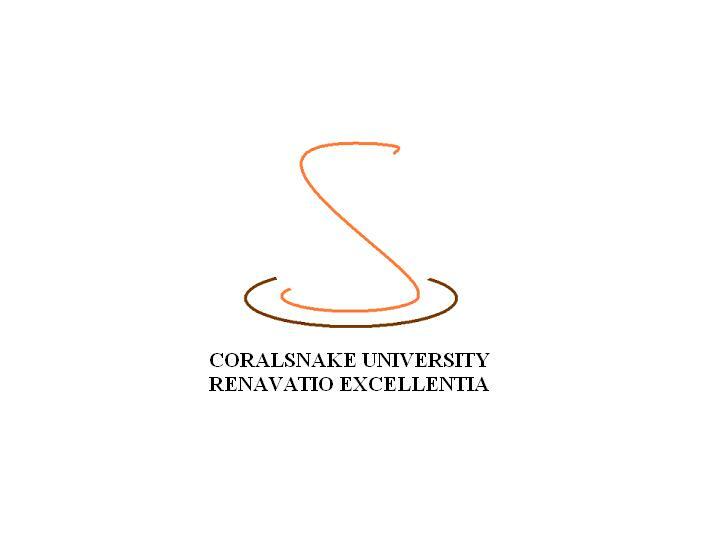 Restoration Excellence. Education is free. The original idea behind the website was to provide accurate information to people about commonly asked questions. I have wondered what became of the dozens of Shelby show cars. I realized that most people have never seen a true Concours car. So, in the coming updates, I will show you some of the details of the most elite cars in the country. Remember, these cars are restored. The intention is to make them historically accurate. I believe everyone should share the knowledge they have collected. The idea is to make all cars better. So, even if you don't have the national champion in your garage, I encourage you to document your car and share what you have. Contrary to popular belief, these cars aren't built by "rich" people. They are meticulously researched right down to the nuts and bolts used. A good judge will never touch your car. They may need to see what's inside your glovebox. An accurate restoration, will include these items. Every car came with an owners manual. If you dont have an original, a reproduction will work in most cases. Check the rules to see if there is a point deduction. This is the temporary owners card. It was replaced with a plastic style card after the car was sold. This is the Warranty Book. It was in most Fords. There are at least two different printings. The type of paper used also differs. Ed tells me Ford was changing their warranties at the start of 1968. I am not sure if cars built in late 1967 would have had this book. Sometimes a few extra items are a good idea. Here are some examples. The Safety Ride book was common to all Fords in 1968. The predelivery check sheet is 1968 Shelby specific and the postcard is nice to have. 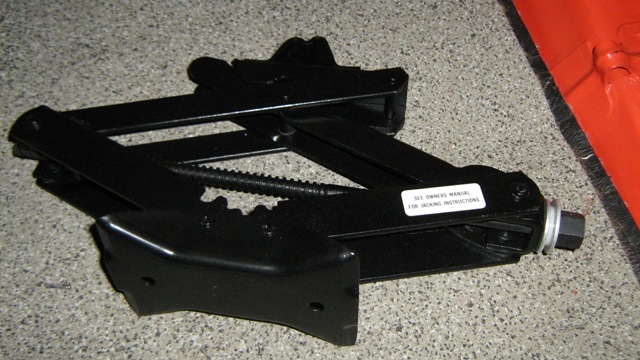 If your license plate bracket is not on the car, it should be here. Every car recieved a bracket inside a plastic bag. 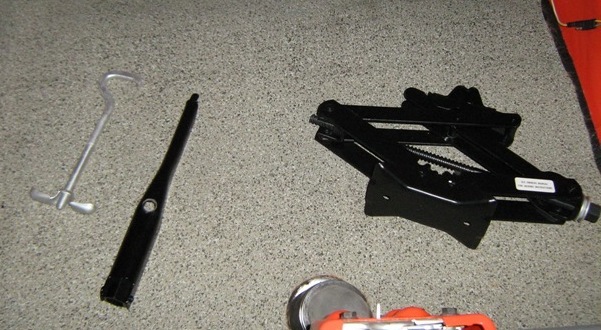 The bag also contained a template for mounting the bracket, 4 screws, 2 bumpers and 6 plastic nuts. Let's look in the trunk. Here are some items that are common to all 1968 Shelbys. Judges will look for these details. Even if you are not showing your car, you may wish to look for some of these details. I have removed the spare tire. Your spare rim and tire should match the wheels on the car. 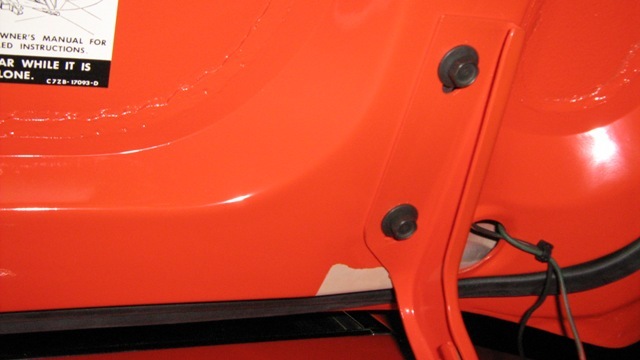 The backsides of both quarter panels have sound deadner applied to them, before the body color paint is applied. The spray patterns are sometimes very crude. This is original deadner. You can see a bare spot covered by a rubber plug in the trunk floor. This is called a prepaint spot. 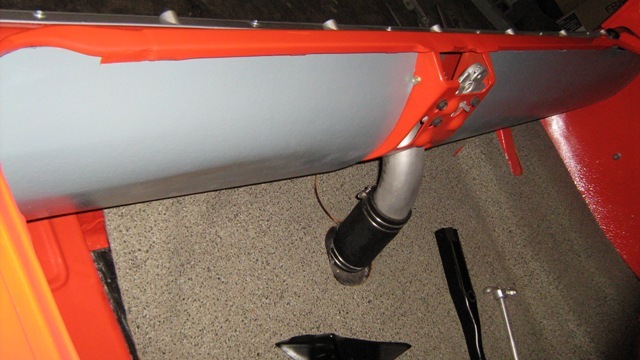 This was one of the attachment points to the body skid when the car was painted. The size of the bare spot can vary. This is the back of the right wheel well. There were originally two wiring clips on this seam. 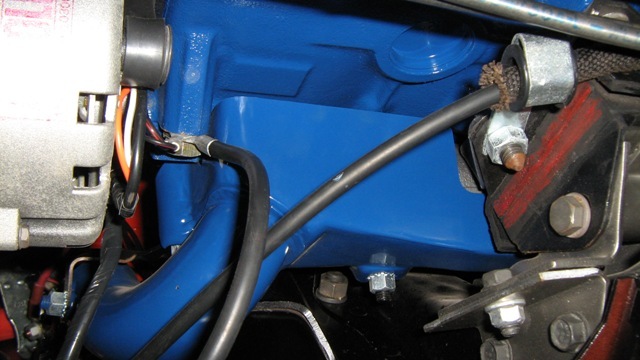 This picture shows the wiring from the right rocker panel. The red plug is where the trunk light will attach. Sometimes there is a black extension here. Most times the light wiring plugs directly into the red plug. The brown wire is looped and taped. It is for a rear window defroster. It was not used on Shelbys. Here is the fuel sender wire. 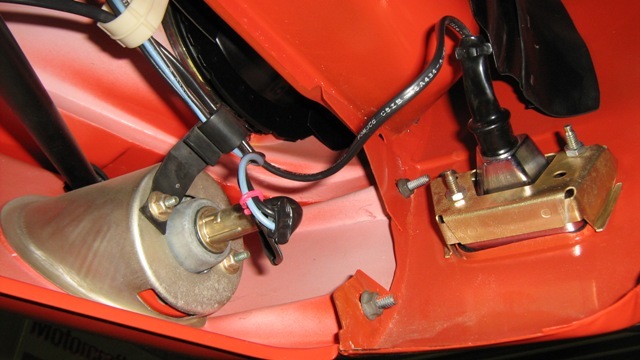 The dual plug was designed for the addition of a low fuel warning lamp. Because the lamp was not used, only one side of this double plug is utilized. This picture shows the back of the trap door. The car is a fastback. The trunk mat is speckled burtex. It tucks under the rear deck. Most cars I have seen do not have the chrome trim across the back deck. The latch is plated. The striker is turned downward. Here is the left side of the trunk. A cardboard panel holds up the trunk mat. 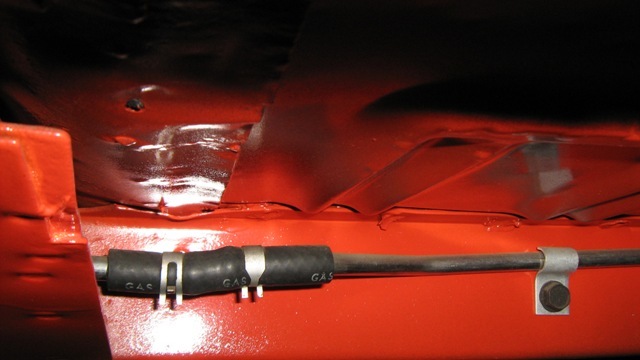 The antenna cable has a grommet on it, because these antennas were also used in the front of some cars. Antennas were installed by dealers. 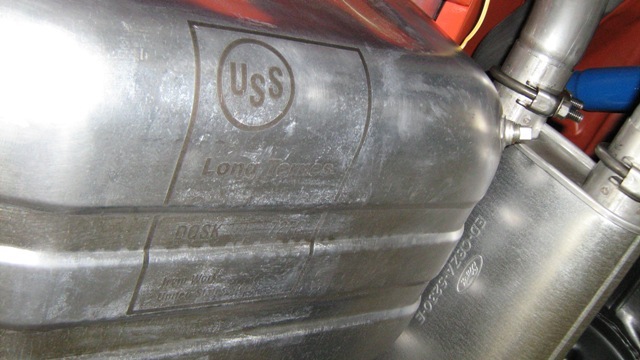 There should be a gray pinch weld cover on a 68 New Jersey built car. Here are the jack, the handle and the hold down. Hold down hooks and nuts were plated. The jack and handle are painted. A closer look at the jack reveals the washers are unpainted. It also has a decal on the side. The bottom of this decklid has a lot of detail. 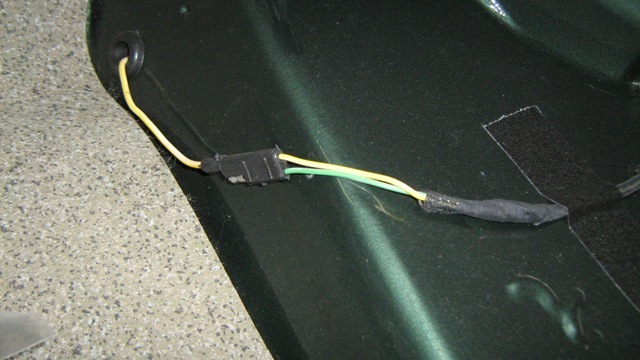 The trunk light wires usually have body color overspray on them. 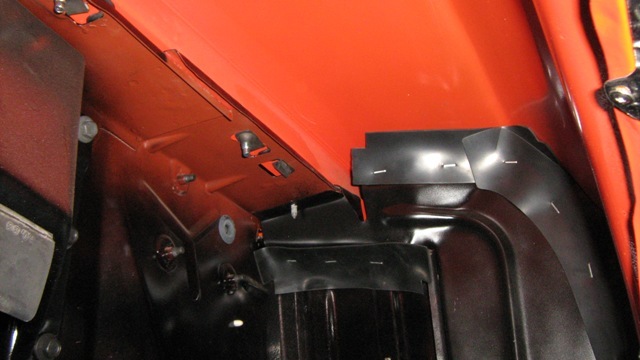 The decklid was painted off the car, so the mouting bolts are not painted. 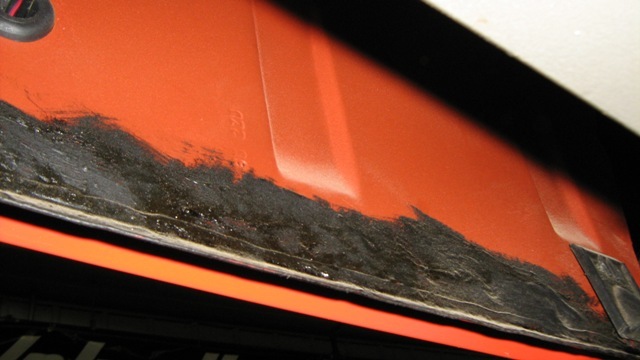 You may also notice a bare spot on the decklid from the tape that was used to hold the wires during painting. 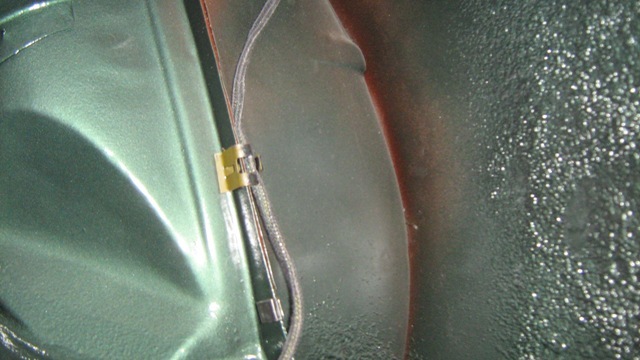 There are two different trunk lid seals, depending on you bodystyle. This is the fastback seal. It resembles a rolled tube. The trunk striker is plated and the bolts are phosphated. This bright gold screw is the ground for the tail light wiring. 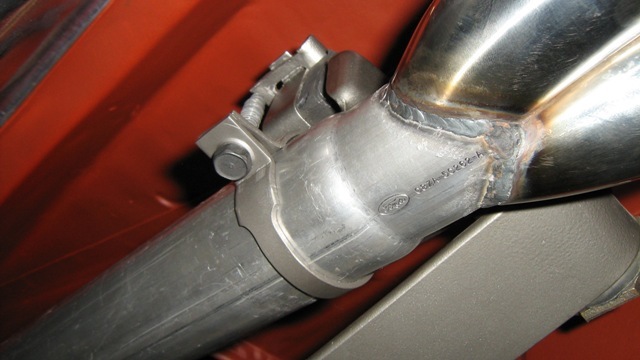 The filler neck and clamps were plated. The hose is smooth rubber. The clamps have a very specific orientation. Along the back, two cardboard covers cover the tail light wiring. They are a blue-gray color. 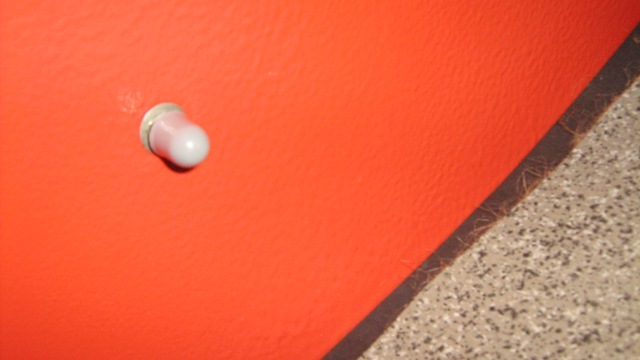 These small plastic caps cover the screw tips from the reflectors. 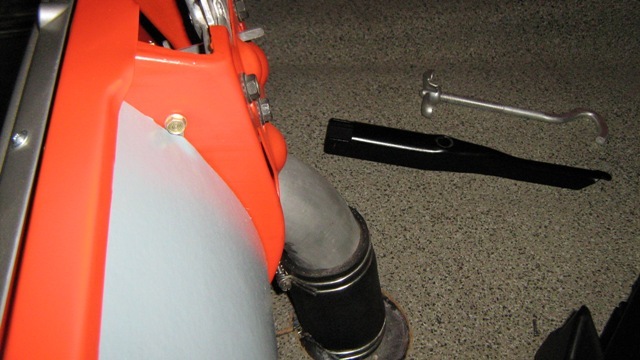 Under the trunk mat is a pad that rests on the fuel tank. Fuel tank screws have a gold plating. Both mats are reproductions. On a saddle colored interior, the fastback, trap door hinges are still black. The prop rod is bare and unpainted. 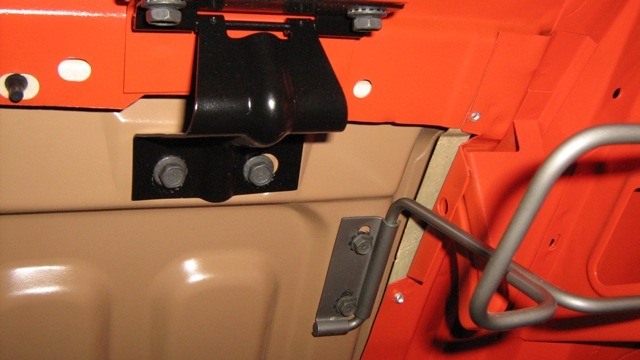 This picture shows the trunk hinge bolts. They were painted with the hinges at Ford. 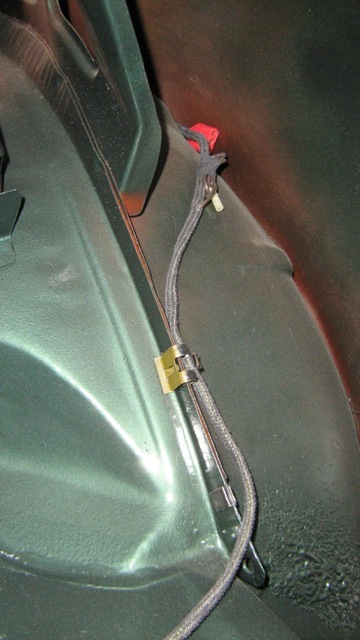 The ground wire is for the trunk light. Here are some pictures from under the car. The fuel tank may or may not have a stencil. I have seen these stencils on the tops of tanks. Some tanks may not have had stencils. The thing to remember with the stencils is they are dated and sequenced to the build. You can also see the Ford scripted muffler. I have seen different spring stampings on similar models. The single color stripe is common to 1968 Shelbys. Springs were phosphated (dark gray) when new. This small plug is on the rear face of the backing plate. An identification number is visible on the plug. The front view of the left shock. All shocks are the same blue color, unless you have a GT500 KR 4spd. Those cars had black shocks in the rear. This shock is original. 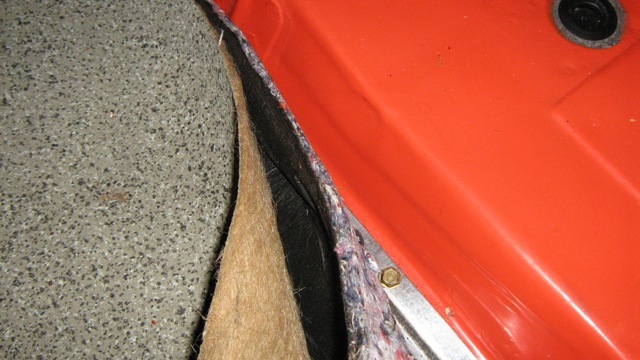 The inner seam of the trunk drop panel is brushed with sealer. Rubber drain covers (right side) are often missing. 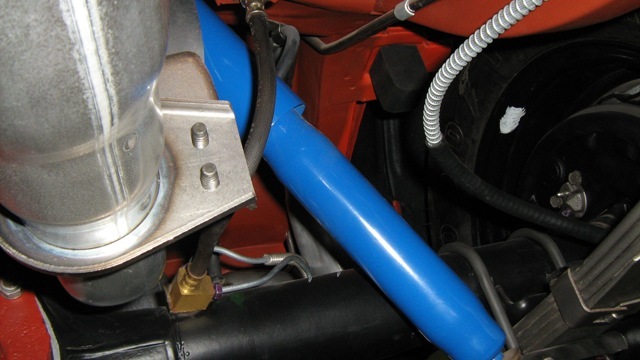 The original GT500 KR tail pipe is one piece with a v-welded tip. The hangers are natural. You can also see the Ford number on this pipe. 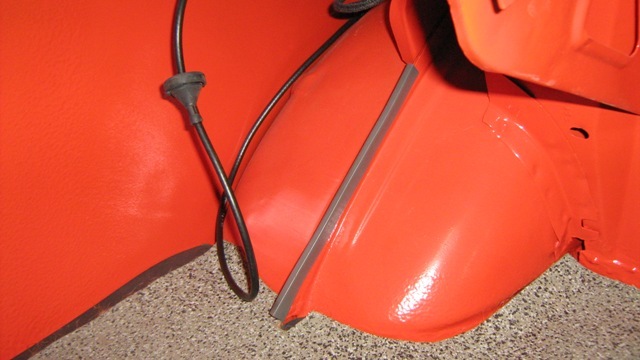 The rear axle "pumpkin" is red oxide primer with surfaces that are machined to bare steel. 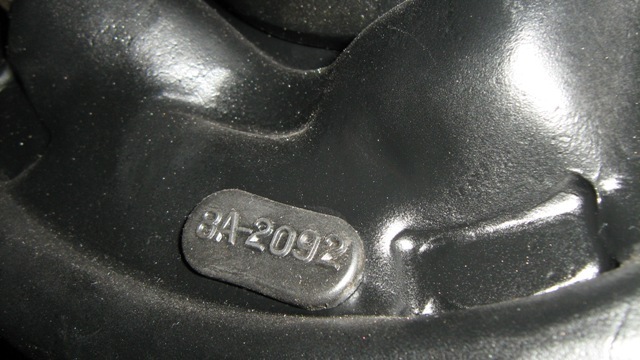 the tag is typically located on the right side under one of the nuts. Each housing has a unique set of markings and it's best not to copy these. 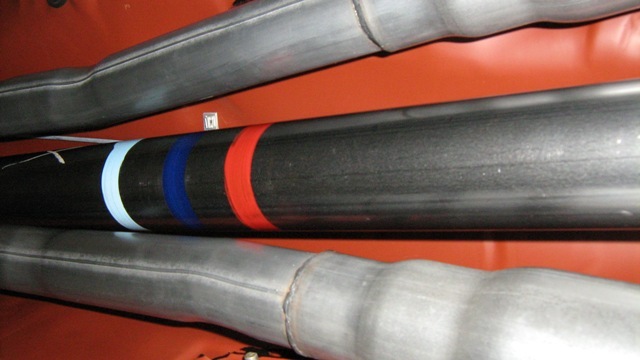 Twin humped resonators are standard equipment. 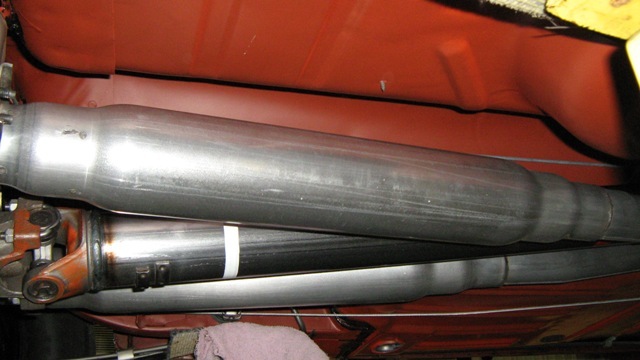 The driveshaft is bare steel. It's not uncommon for the ends to be orange. The light blue, dark blue, red stripes, tell you this is a GT500 KR with and automatic transmission. Each drivetrain combination has a unique driveshaft. 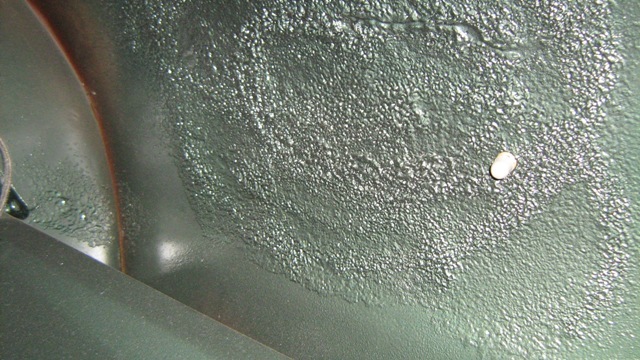 on the right is the overspray from pinch weld blackout. 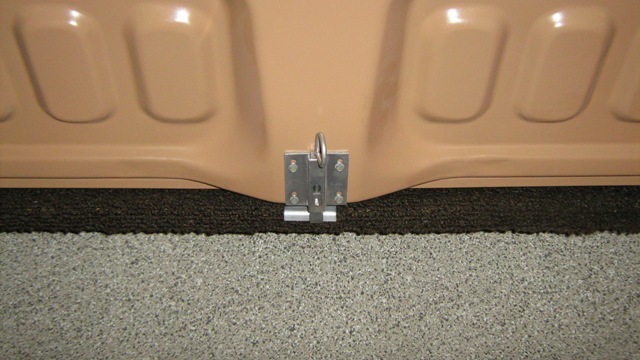 The drain covers in the floor were installed after the car was painted and should be bare steel. Originally they were galvanized. 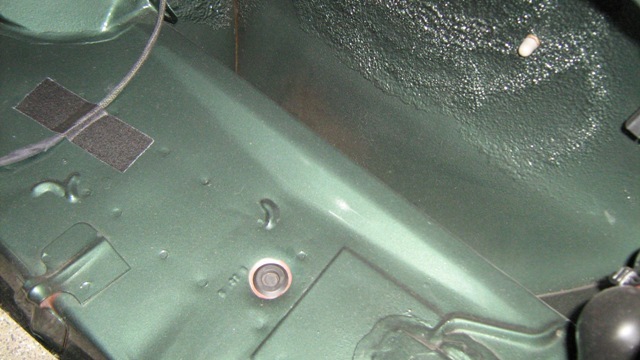 The fuel line connects under the driver's floor pan. Two different style clamps were used. Some early built cars have a screw type clamp. The rubber hose should say "GAS". 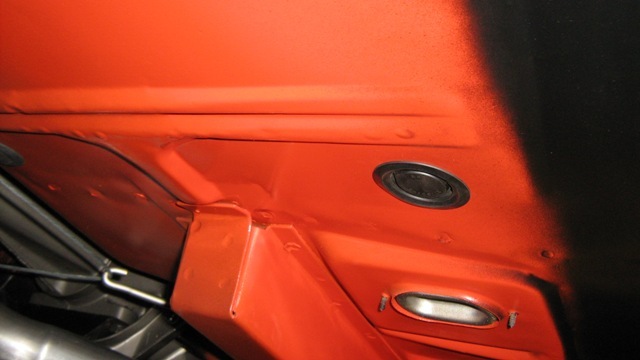 Inside the front, inner wheel well you can see a mixture of body color, blackout, and primer. The splash shields have rubber stapled to them to keep debris out of the body. 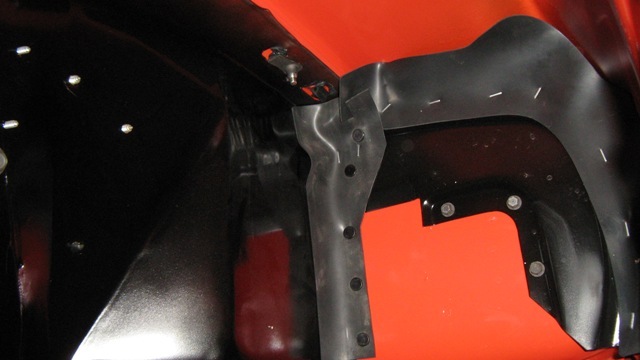 The frpnt splash shields also use plastic fastners to hold things together. This is the backside of the front valence. 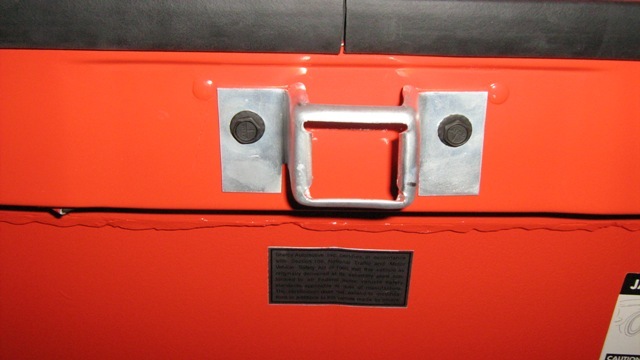 The marker light and turn signal retainers are plated gold cadmium. The backsides of the fiberglass panels are usually pink or white. This is the unpainted natural finish. Some body color overspray is acceptable. There are also two plastic wire retainers. One is white and one is black. 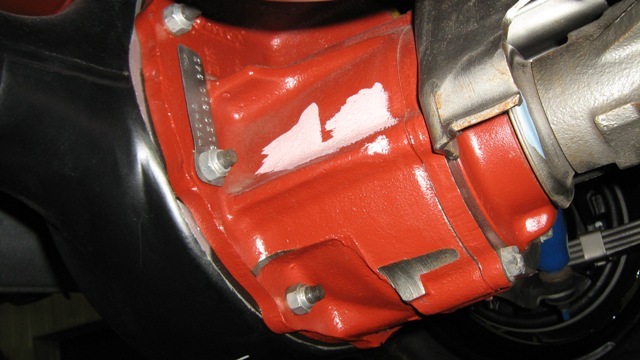 The big block, motor mount insulator has a red paint slash. Service parts are a different color. All of the brackets for the motor mount are natural steel, except this insulator. 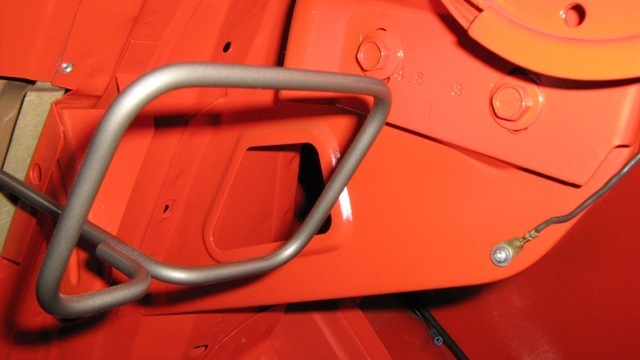 The sway bar brackets are natural steel. 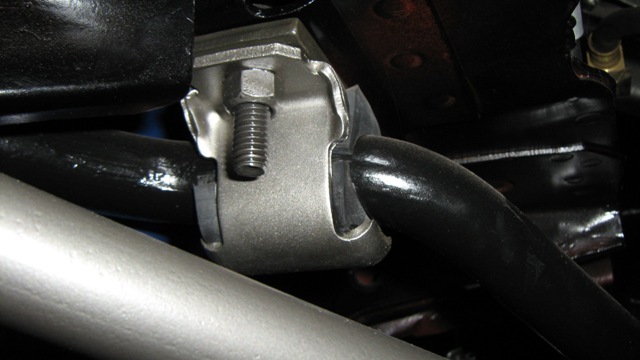 GT500 KRs have an added spacer to provide clearance for the sway bar. 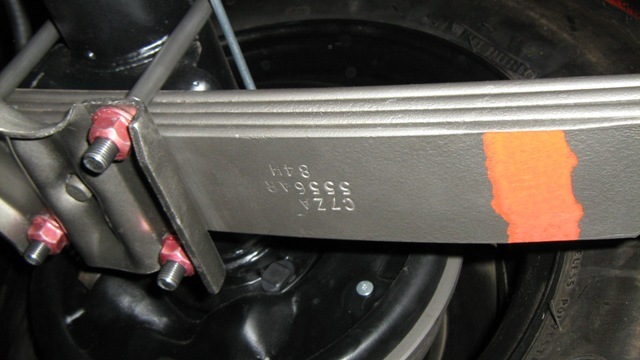 The sway bar is painted semi-gloss black. In the foreground is the strut rod. I have not found color codes on these struts. The struts were originally phosphated.